From Minna no Eva fan. The design looks very Yamashita with many details and it generally looks more menacing than usual. It's a very good looking Eva. I'm not sure if it is slightly pink or is just the way it's colored but I really dig the design anyway. Last edited by Joseki on Thu Jun 21, 2018 2:46 pm, edited 5 times in total. We went from an Eva that looked like two evas stiched together vertically. To an eva with a head that looks like two heads were chopped vertically and put one on top of the other. I don't know if it's the artist style but that reminds me way more of a fusion of Unit-2 and Unit-3 than 02+08. The only thing that really invokes Unit 08 there is the ear thingy between the eyes and the spiked on the back of the jaw. Might be an entirely new build for Unit 02! Best thing I've seen from Japan all year. I can't shake the feeling I've seen something similar to this design before. 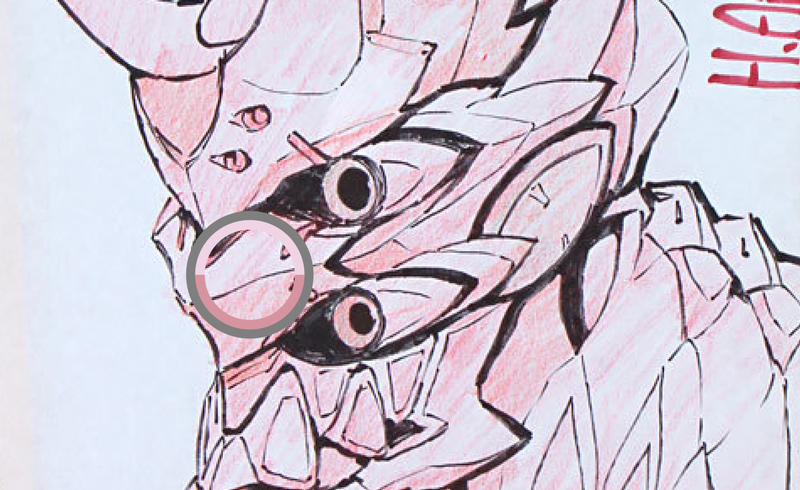 One of the Anima versions of Unit 02, maybe? The look feels extremely familiar to me, too, but I just can't place it. Either way, if this is the "merged" Eva 08+02, I love it. Great stuff all around! The day of Vengeance and Truth comes closer with every news we get to 3.0+1.0. The valkyrie and the force of nature must strengthen their bond to unleash carnage and horror on their mortal foes with Eva 8+2. The design of the Eva has the typical characteristics of their former evas and I do think it has the matching color paterns. I hoped for a reveal of the English title, but this design is so awesome, I can't complain. I think I know what it is. 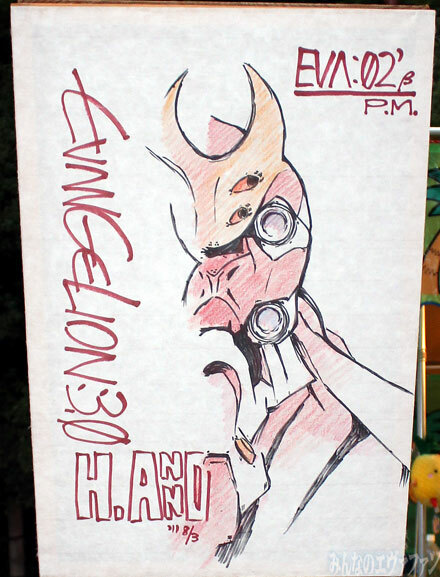 It looks like Unit 02 fused with Eva Mark.06. The crests on the backs of the head, the jaws, the nose piece with the "scar" marks on them. That's really cool. So the Eva is called "新2号機" probably, in english "New Unit 2" acording to Google Translate. Apparently the first kanji (新) is "shin", so the movie is called "Shin Evangelion" and there is a "Shin Evangelion" in it. 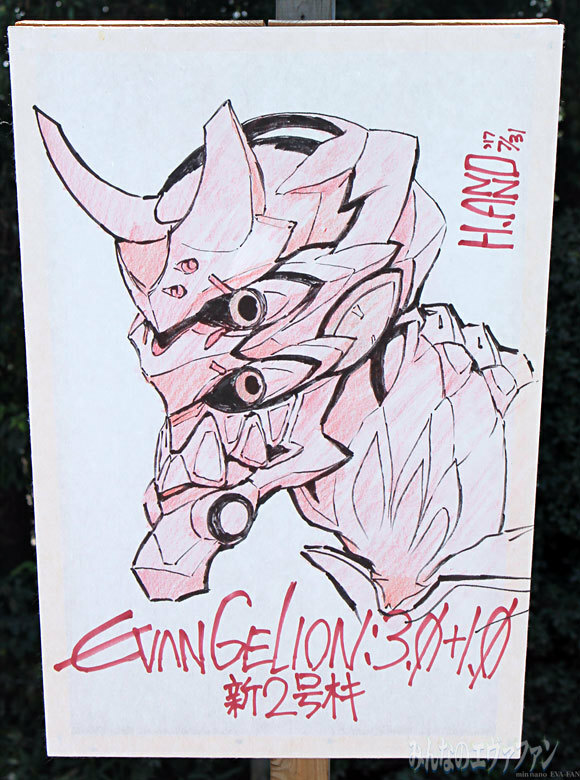 This is the second time Anno has drawn a revamped version of Unit 02 for the lantern festival. The first was back in 2011, a little over a year before 3.0 would be released. I think we're on track for a Fall 2018 release. I feel that much closer to the man and the myth, Anno, knowing that we share a love for best girl and her Eva. Unit 02 has been my long time favorite, and I love seeing it revamped over and over. I manually checked the colors with Photoshop and it appears to be full pink, there were some spots in the shadows that seemed red but they were just more intense pink. Last edited by Joseki on Sun Aug 06, 2017 6:06 am, edited 1 time in total. Could just be Anno's muted color style when it comes to these festivals. The previous years' illustrations were equally as muted and minimalistic. Last edited by Joseki on Mon Aug 07, 2017 2:04 pm, edited 1 time in total. Well, that new "Super" Eva 02 could indicate that there will be at least a minor time skip during Shin Eva, as I doubt that regrowing most of an Eva and refurbishing it with new armor can be done in a couple of days. 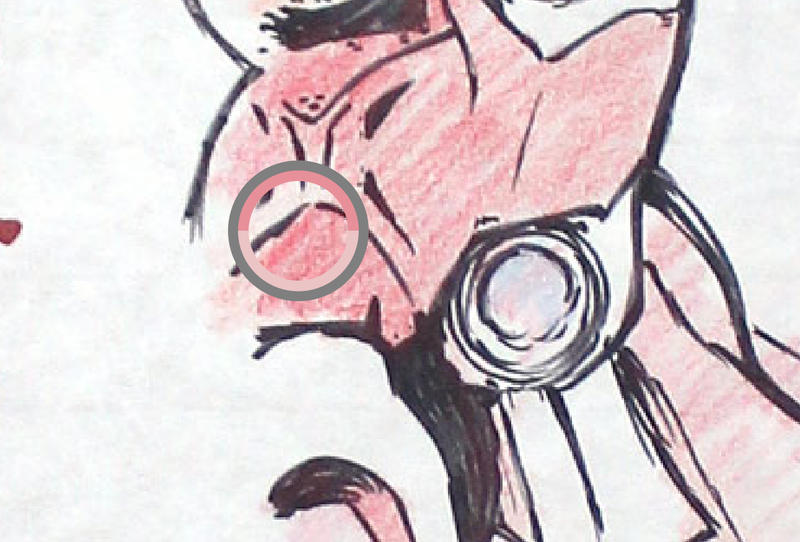 ElMariachi wrote: Well, that new "Super" Eva 02 could indicate that there will be at least a minor time skip during Shin Eva, as I doubt that regrowing most of an Eva and refurbishing it with new armor can be done in a couple of days. Hopefully enough time for Shinji to visit a therapist/get a fair trial.